50% off for wholesalers and retailers! Discover our watches in original, Murano glass! Order now online the venetian made in Italy! 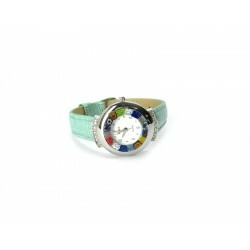 Murrina Millefiori Glass Wristwatches: for those who love wearing an elegant accessory on their wrist, this is definitely the perfect occasion, since we are discussing about watches fitted with unique details, suitable for any and all occasions. Our company thrives in the bulk production of jewels in Murano glass, a certain consequence of the many professional which have been developing original and high-impact solutions for many years now, and yet... Murrina glass wristwatches are also worthy of consideration! To begin with, there are many models, so anyone may effectively choose the right one for him or her based on preferences, but we also need to point out that the details offered clearly recall ancient Venice art, which is why wearing them will always allow you to bring some history of our traditions with you, wherever you go. 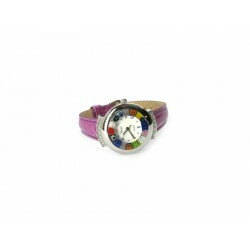 Murrina Millefiori glass wristwatches are incredibly unique. Besides having matching wristbands with lively colours, they are also suitable for all kinds of people, making them an item which will hardly go unnoticed. 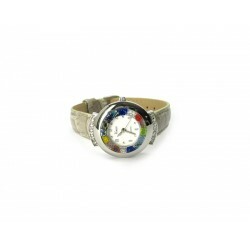 Keep track of your time with our splendid Millefiori Murrina glass wristwatches! The proposed watches are specifically crafted by master glassmakers and are made by hand, meaning you'll be wearing an exclusive product, one of its kind, nickel-free and in compliance with Directive 94/27/EEC. Maximum attention was given to the entire structure as well as to movement, which in most cases is Quartz (Seiko) and therefore extremely reliable, to which a metal case is added, giving good durability to the product. 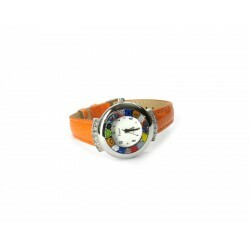 Our Murrina and Millefiori glass wristwatches will amaze you, nothing is left to chance and their durability is guaranteed. Furthermore, every product will be sold in its original packaging, therefore also proving ideal as a worthy gift and for allowing you to make a difference. 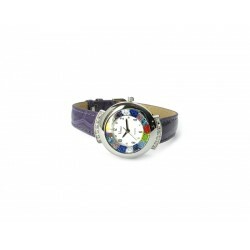 Buy your Murrina Millefiori glass wristwatch, you'll see their hype for yourself! 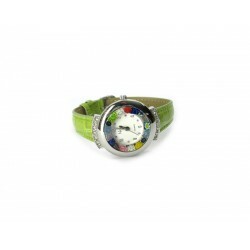 Watches - Millefiori Watch There are 73 products.